Sunday, March 31: Eddie Rosario congratulates slugger Nelson Cruz on his first homer in a Minnesota Twins uniform. Sunday, March 31: Jorge Polanco and Byron Buxton celebrate the Minnesota Twins' 9-3 win over Cleveland at Target Field. 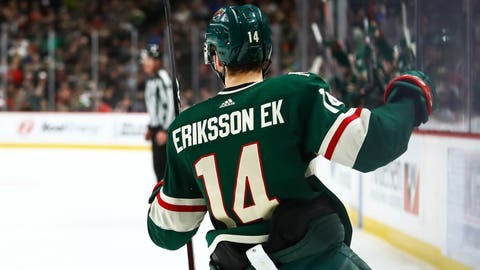 Tuesday, April 2: Joel Eriksson Ek scored his seventh goal of the season in Minnesota's 5-1 win over Winnipeg at home. 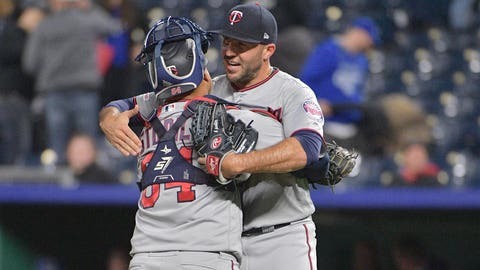 Tuesday, April 2: Catcher Willians Astudillo gives reliever Blake Parker a hug after the Minnesota Twins' 5-4 victory in 10 innings over Kansas City. 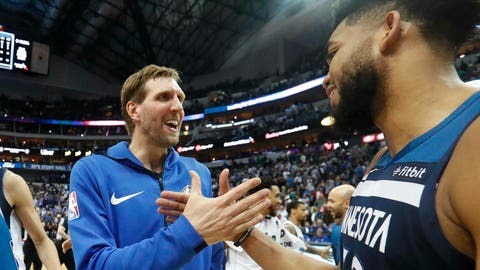 Wednesday, April 3: Karl-Anthony Towns and future Hall of Famer Dirk Nowitzki shake hands after the Minnesota Timberwolves' 110-108 win over Dallas. Wednesday, April 3: Willians Astudillo, Eddie Rosario and Max Kepler embrace after the Minnesota Twins' fourth win of the 2019 season. 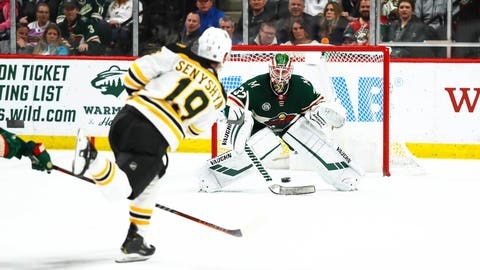 Thursday, April 7: Minnesota Wild goaltender Alex Stalock stops a shot from Boston’s Zach Senyshyn during a 3-0 loss to the Bruins. 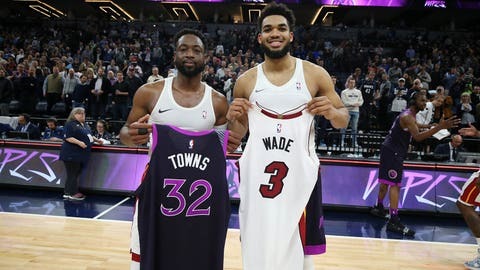 Friday, April 5: Karl-Anthony Towns and Dwyane Wade exchange jerseys after the Minnesota Timberwolves’ 111-109 win over Miami. 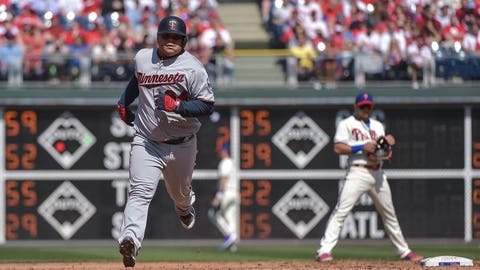 Saturday, April 6: Willians Astudillo trots around the bases after hitting his first home run of 2019 in the Minnesota Twins’ 6-2 victory in Philadelphia. 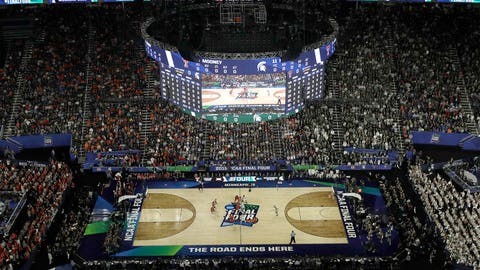 Saturday, April 6: A general view of U.S. Bank Stadium as the second of two NCAA national semifinal games tips off.